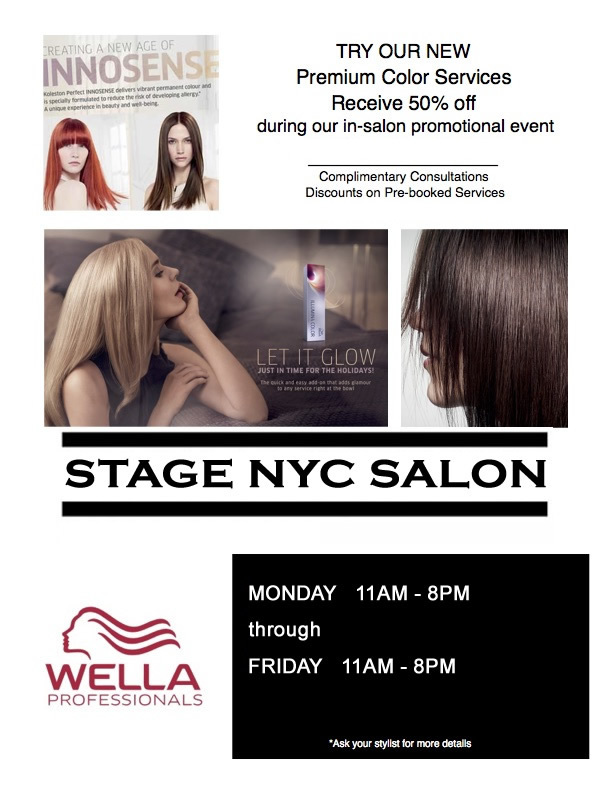 Yelp Check in $5off Blowdry or Hair Cut Services. First time clients ONLY. Offer NOT to be included with any other promotions or offers. Share the love, Send referrals code to your friend #stageNYCsalon, and you both get $5 off from retail product AVEDA, WELLA...plus free gift.